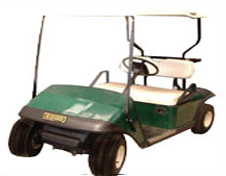 What Year is my EZGO® Golf Cart? First you will need to locate your serial number. 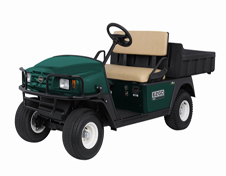 Listed below you will find the most common places EZGO has put their serial number plates as well as a comprehensive visual reference guide to help you with determining which EZGO model you have. The order of these numbers and one letter have changed several times over the years, but you should be able to figure it out. The order of these numbers and one letter have changed several times over the years, but you should be able to figure it out. If not, e-mail INFO@EASTCOASTCARTS.COM with the manufacturers numbers and we will confirm the year in a return e-mail. 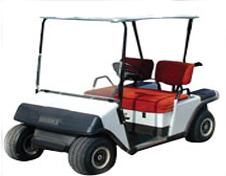 On EZGO golf carts prior to 1976, you can find the serial number plate on the fender skirt under the driver's side seat. There is no simple formula for vehicles manufactured before 1976. 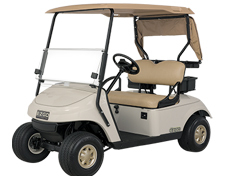 You must e-mail INFO@EASTCOASTCARTS.COM us with all these numbers so we can help determine what model year you have. Please include all the numbers that you find on the plate.